Some of us are learning as we go here, a few entities mentioned in this thread. In a week --- 1,000 replies, 35,000 views in this thread plus similar posts in other threads. UND Arena Services EIN: 14-1846178 UND Arena Services, Inc. 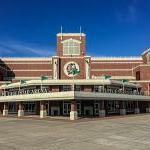 UND Sports Facilities EIN: 36-4511153 UND Sports Facilities, Inc.
Ralph Engelstad Arene EIN: 11-3666663 RE Arena, Inc.
1 Ralph Engelstad Arena Dr Grand Forks, ND --- Built and paid for by Ralph Engelstad upon completion. Opened fall 2001. For the sake of this post and simplicity, I'll group these 3 as "The Ralph", for which all having the same address. Engelstad Foundation created in 2002, located in Las Vegas, NV which has been generous to UND and the local area, and vastly involved in Nevada. One board of director seems to be making the larger decisions. All funds stay within The Ralph and UND. Favor hockey over other sports. A bond was acquired to build the Betty. The Betty is part of The Ralph. Tickets sales are collected by The Ralph, CC donations go to CC. UND picks up the shortfall in the AD. A dump? Yeah, it wasn't as fancy as the new Ralph but half the seating was for students and the atmosphere in there was crazy in the 80's and saw a big resurgence during Deano's tenure. Sorry, but I was at a lot of games there in the 80's and it was way crazier than the new place...Pull your head out Junior! I totally agree, I was there for the transition from the Barn, and many games since college. The crowd was pretty much all serious cheering loud fans. Today's crowd seems to have more of a family flavor to it and therefor not as intense. Admittedly, I never had the privilege to see a game there. Just looked through the glass to the lobby after it was closed. Very valid points but at what point are those 2 sports somewhat responsible for generating revenue? They aren't if UND continues to be labeled a " hockey school". You can't have it both ways; that is, label UND a "hockey school" but yet expect football and basketball to entirely carry their own weight. That double standard is ridiculous as it tears UND apart, as evidenced by some of the responses on this board. Despite what people may think, I have no problem with UND emphasizing hockey; but, it should be perfectly acceptable then for hockey to support to a certain degree the other programs. If you want to be the bell cow sport, then embrace it. Look around the country and see how it is done. This idea that UND hockey is a separate entity from every other sport is horrible and needs to stop. The latest magazine is Exhibit A, highly doubt we will ever see that many pages promoting football or basketball players. If they were equal they would find a way. They don’t even try. Perception is reality and the fans can tell that for the last while the AD couldn’t have cared less about football and other sports, just hockey. Would it, though? The place was a dump. We wouldn't have the same quality of recruits coming in, and with worse teams, it is unlikely that the thing would sell out every game like the Ralph does. Without the Ralph, football could also have been more popular with students, as they wouldn't have be comparing it to the Palace that the hockey arena is. Football would have less competition for people's ticket budget. The old arena was far from a dump. It was what college hockey was back then and I imagine if they spent a little money on renovating it, it would still be a pretty nice venue to watch games. I remember going to games at that arena and just walking up to the arena got me excited. The way the visiting teams bus/players came in, the way the students waited in line to get in and the fact that some rich snob didn't yell at the students for standing. Now don't get me wrong, the new REA is very very nice but to say the old REA was a dump is just completely false. The days of UND being able to focus on hockey and nothing else are over. They ended the moment we became a Division I school. If we want to go back to that, we should drop back down to Division II and join the NSIC. Otherwise, this mentality needs to end. Took the words right out of my mouth. Great post. But UND is it known as a "hockey school"......whether that is right or wrong yet you have no problem with the redistribution of that program's revenue. The current REA agreement needs to be renegotiated to better terms for the other sports but here shouldn't be continued excuses for the MBB and FB programs to underachieve revenue wise. When the Alerus is 70% full attendance wise and MBB is even less I don't see how that is all on the hockey program. BTW I have yet to see any one claim that FB and BB need to "entirely carry their own weight" but I could have missed a post or two. If we don't raise coaching salaries for FB and MBB (and eventually WBB), those programs will not be able to retain quality coaches and therefore, will never reach their full potential. Something we could do a better job of if the REA contract wasn't so skewed against UND. I was once told that having the Sioux logo on the court was disrespectful to Native Americans because athletes would walk (or more likely run) over the face constantly. If memory serves me correctly, the hockey locker room also had the carpet area roped off so no one could step on the Indian head and "disrespect" it. Now we're supposed to slap the new logo on the middle of the court? What happens when the NDSU Bison roll into town and celebrate a road W by dancing and stomping all over the Hawk logo in the middle of the court? I think his point was if UND is going to be a "hockey school" then hockey needs to carry the athletic department, rather than holding the money for itself. IMO, hockey and the REA do a lot for the athletic department. With that said, could they do more without detrimentally affecting the hockey coaches, players, and fans? Absolutely. So we a tying the complete success to our MBB and FB programs to assistant coaches? That excuse is so overused and tiresome. 99% of assistant coaches in any sport at any college level are looking for a better gig. I do completely agree that there needs to be more dollars in the coaching salary pool for FB and BB though. I did not say "complete". And you must have missed the headline last week where our MBB program lost an assistant coach to a school in our own freaking conference (USD) in a lateral move. That is what I was talking about. Even a marginal increase in coaching salaries could prevent garbage like that from happening. Most collegiate athletic programs lose money. Every school has at least one revenue sport that pays for the others. If you have a problem with that, then you have a problem with the overall model of intercollegiate athletics in the United States. And I don't see that changing anytime soon. To your first point.......then those from the "anti-hockey" crowd should just come right out and say that directly. To your second point I completely agree. Anti-hockey? I have season tickets in REA for cripes sake! Our point is that if we are going to put together quality Division I teams, the "hockey only" mentality must stop. We aren't Division II anymore. And that means getting financial resources from wherever we can. The whole purpose of building REA was to do that. Correct and this school's main revenue sport is hockey. Always has been and most likely always will be so let's figure out how hockey can help the other main sports, BB and FB, succeed since up to this point they can't seem to optimize their revenue capabilities. Hopefully McGarry and Kennedy can resolve this issues in a couple of weeks. BTW I have had FB season tickets for same number of years I've had season hockey tickets. 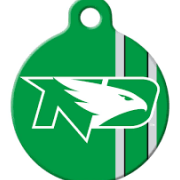 The offended birds poop on the ndsu bus. Most professional teams rope off or tell everyone to not step on their logo in the locker room. I believe we actually added a big Sioux logo at center court during the RT regime and removed it before the basketball season because of complaints from the Native American community for the reasons you state above. My memory is getting foggy but I believe this is right. Football does generate revenue, but the Ralph takes over half of it, apparently. Has anyone provided a link for this? I have yet to see a document, if I missed this, can you provide it. Thanks in advance. Football generates revenue. If they sell one ticket they generated revenue. And it's been shown here already that REA retains 52% of football ticket revenues. What document was that listed in?